Europe’s leading entertainment company, Sky has been ranked the UK’s 3rd most inclusive employer in 2018, jumping 8 places from the previous year. Serving 23 million customers across seven countries, they offer the best and broadest range of content along with the best viewing experience to suit each and every customer. Whether that’s through the multi-award-winning next generation box, Sky Q, or Sky’s contract-free online streaming service, NOW TV, customers have access to the latest movies, drama, sports and kids’ entertainment wherever and whenever they like. This is all supported by Sky’s best in class customer service. Sky’s success is not just based on what the company does but how it does it. They are named as one of the Top 10 Green Companies in the World by Newsweek, listed as one of The Times Top 50 employers for women and ranked number one media company for LGBT Inclusion and 29 overall in Stonewall Work Place Equality Index 2018. Their inclusion vision, strategy, plan and updates about the progress they’re making against the plan, are all shared on an intranet site called inclusion@sky. Here employees can find hints and tips on how to actively include people every day, join one of their employee networks, get inclusive Sky programming recommendations to watch with friends and family at home, or ideas for getting their team together to run a session on understanding the impact of inclusion on the business, familiarise themselves with unconscious bias or build confidence talking about race. Employees can also catch up on Sky’s inspiring internal inclusion events on demand if they couldn’t attend them in person. Since the site launched in September 2017, the ‘Vision’, ‘Get Involved’ and ‘What’s going on?’ pages have been the most visited. An ‘Inclusion Newsletter’ goes out every fortnight to the Inclusion Executive Steering Group, and to the vast network of people who champion inclusion right across their business. A ‘Monthly Managers Email’ is sent out to all people managers and is always structured under four pillars: Be yourself; Be your best; Be involved, Be informed. The Sky Forum is made up of representatives elected by their peers to represent their views in conversations with senior leadership about their business and life at Sky. Sky invite different communities from diverse and disadvantaged backgrounds and support them with getting into different areas of the business through a variety of projects and initiatives. They range from offering experience to people, to funding full training programmes that upskills different diversity strands, which helps Sky tackle potential barriers. 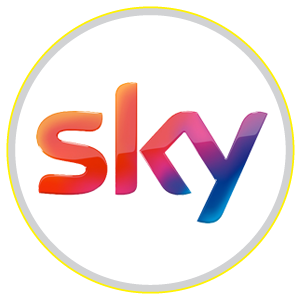 Digify is one of Sky’s newest initiatives. It’s an award-winning industry paid training and placement programme actively addressing the lack of diversity in the digital and creative industries. In partnership with Livity, Sky identify talented digital creatives from BAME backgrounds, pay them while they receive 2 months of world class digital training followed by a 6 month paid placement across teams at Sky. In addition, through Sky Academy Studios, nearly 20,000 young people from right across the UK’s social and economic spectrum attended a Sky Skills Studio learning experience last year. Their Sky News Diversity work experience programme is only open to people from BAME backgrounds, people with a disability or to people who are economically disadvantaged. Get into Tech is an award winning, free, 14-week evening course providing a unique and supportive environment for women with little or no previous technical experience to learn some of the skills necessary to begin a career in software development. More than 500 women have applied to the scheme and over 130 women have taken part so far. This year Sky launched a brand-new Trainee Engineer Scheme for Women. It provides a 6 month paid work placement, training and support to more than 300 women considering switching to or starting a career in home service. It’s part Sky’s very ambitious plan to level the playing field for women in engineering and with the ambition that it will increase female representation in their home service engineering team from 2% to 20% by 2020. 30 women from the first intake have already gone on to apply for permanent home service roles. Women in Leadership is Sky’s flagship programme aimed at increasing the number of women in their most senior positions. Their vision is to be the employer of choice for women and have a 50/50 gender balanced workforce. Sky insist hiring managers build gender-balanced 50:50 shortlists before making any senior hiring decisions. This year they’ve launched a brand-new Women into Leadership development programme aimed at helping mid-level women supercharge their development and prepare for leadership roles. They also launched Sky’s first Returner Programme aimed at people who’ve been out of the workforce for two+ years to return to work at a senior level in a structured and supported way. When their Women in Leadership programme launched 32% of Sky’s most senior roles were held by women, and that increased to 39%. In addition, Sky are working hard to increase BAME representation across the company with ambitious targets for 2020. They recently kicked off a Reverse Mentoring scheme connecting aspiring young BAME talent with senior staff to help build connections and understanding. As a company Sky have a vast range of employee engagement initiatives that are delivered by their leaders, networks and inclusion team. In September they celebrated National Inclusion Week and ran a campaign that launched their inclusion vision and highlighted inclusion activity across Sky. Their many networks have a busy calendar that delivers a series of events throughout the year enabling people to be connected, to be inspired and to be educated. Examples include Sky participating in 10 prides across the UK and Ireland, Notting Hill Carnival party celebrating West Caribbean Culture, Mental Health Awareness Week with podcasts and International Women’s Day guest speaker Ruby Wax. Earlier this year the organisation worked closely in collaboration with the lgbt+@Sky and body & mind@sky network to install all-inclusive toilets; this improved disabled toilet access by making them more accessible to people with invisible or less visible disabilities as well as trans or non-binary colleges. It is clear that the people at Sky make the organisation Europe’s leading entertainment company. Evidence shows that Sky strive to create an environment of involvement, respect & connection where the richness of ideas, backgrounds & perspectives are harnessed to enable people to achieve their best work.